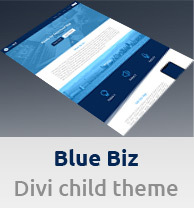 If you wonder how much is the Divi theme, I will explain it in this very short article. The Divi theme price is the following: $89 per year (Yearly Access) or $249 one time (Lifetime Access). So you have 2 options. If you are on a low budget or are not sure if you will be using the Divi theme the next year, too, I recommend you the $89 yearly plan. Or, if you know that you will be using Divi a lot, I recommend the $249 lifetime plan, which is a one-time fee and includes lifetime Divi updates & support. You can also upgrade from the yearly plan to the lifetime access plan anytime by paying the remaining $160 cost. By buying Divi, you are purchasing an Elegant Themes membership (this is the company behind Divi) that includes, besides Divi, access to 2 other great plugins called Monarch and Bloom. I use them on most of my websites together with Divi. This is a great added value to the Elegant Themes package.